Do you have what it takes? Think you can make it all the way through without crying to your momma?! Did you ever want to experience a taste of a Boot Camp course? Now is your chance. 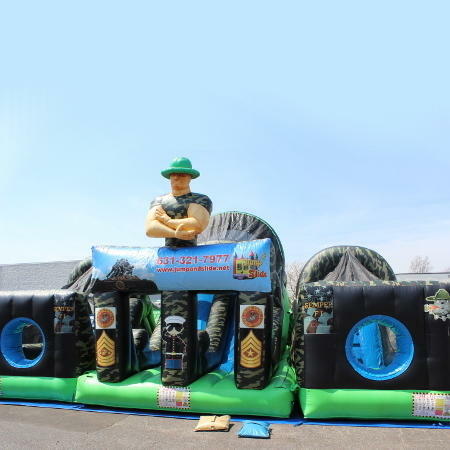 We custom designed this challenging obstacle course that kids and adults will love. It’s not like any other; as former Marine, I personally told the manufacture exactly what obstacles I wanted built. So get ready for pure heart pounding fun! REQUIRES THREE SEPARATE OUTLETS.